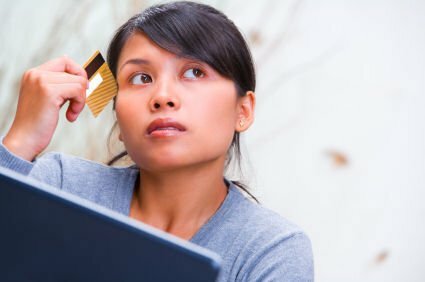 Reducing credit card debt is probably one of the hardest things to do. As easy as it is to fall into it, the complete opposite happens when you are trying to get out of it. With the American household being in an average of $15,000 in credit card debt, a lot of debt relief options have been made available: debt management, debt consolidation, debt settlement, credit counseling, bankruptcy, etc. Some of them are better than the others when dealing with a specific financial situation. To achieve the best case scenario for these options, you need to hire the help of debt professionals. These are financial experts who can help you negotiate with your creditors and collectors. They can also provide you with consultation services so you are able to conquer your credit card problems and ultimately live a debt free life. Debt relief services may come in free or paid. If you do not want the added expense of paying a service fee, you have to at least get credit counseling and there are several organizations who offer them for free. But if you are the type who want to reduce your credit card debt on your own, there is one effective way of doing that – pay off more than the minimum payment requirement. What most of us do not realize is paying for the minimum means you are only paying for approximately 2% of your outstanding balance. The rest are interest rates and other charges. If you stick to the minimum payment amount, it will take you years to pay off your credit card debt. In 2006, the Office of the Comptroller of the Currency issued an order to all credit card companies to increase the minimum payment amount to force card holders to pay more of the outstanding balance. From 2%, it is now 4%. But how does the minimum payment play a role in getting you debt free? Let us assume that you have $10,000 as your outstanding balance. Your credit card has an 18% interest. Below are three a helpful scenarios to provide you with the figures. Imagine the saving all that money on interest rates and the stressful years if you only added a couple of hundred dollars on your payments. As you increase your monthly payments, you lower the total interest rate that you pay for and the years needed to complete the payment. If you were still paying only 2%, you will end up paying more than double of the actual amount that you spent your credit card on! Not to mention the years of stress because of having such a monumental debt all your life. Remember, all of the computations above are with assumptions that you are no longer using your credit card. By skipping a couple of night outs and eating at home, you can actually save that extra $100 and allot it to your credit card payments instead. If you need help reducing your credit card debt, National Debt Relief would be more than happy to provide you with the expert advice that you need. Give us a call, chat with us or fill out the short form that you see on this page. We will be happy to assign a debt professional to contact you as soon as possible.